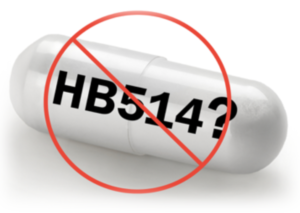 This is the statement I made regarding HB 514 at the April 24, 2018 CMS Board of Education meeting. Bonds. I personally would have a hard time supporting investment of County or State bond funds to build schools in the Matthews area. Why? There are tremendous capital needs all over the district. Many schools in my district have multiple grade levels housed in mobile units outside of the school building. With HB 514, Matthews has expressed the willingness to build its own school buildings. Why should CMS invest. Magnets. Should Matthews families attend a Matthews municipal charter, they need to be aware that that choice EXCLUDES them from entry in to CMS Choice options – magnet schools, early colleges, etc. Only students who are enrolled in CMS can enter the Choice Lottery and the timing of the lottery is such that charter school students can’t apply in time. Boundaries. Unlike conventional charters, HB 514 creates a priority for Matthews students, so opening a Matthews Municipal Charter will have a profound impact on CMS building utilization. Thus, in order to make the best use our CMS properties, CMS will need to adjust boundaries for our schools in the Matthews area. I find it surprising that at the two joint meeting between the CMS Board and the Matthews Town Commission, the Matthews Commissioners repeatedly called for Matthews schools for Matthews students. This, while failing to acknowledge that many Matthews students attend Providence High School and South Charlotte Middle School. I believe that Matthews families currently attending schools outside of Matthews have no desire to change schools. Many CMS families that reside Matthews spoke at last night’s Commission meeting. They expressed their strong satisfaction with their children’s education in both Matthews and Charlotte school. One parent stated that she chose to live in Matthews because it had a small town feel but offered the big city amenity of CMS.